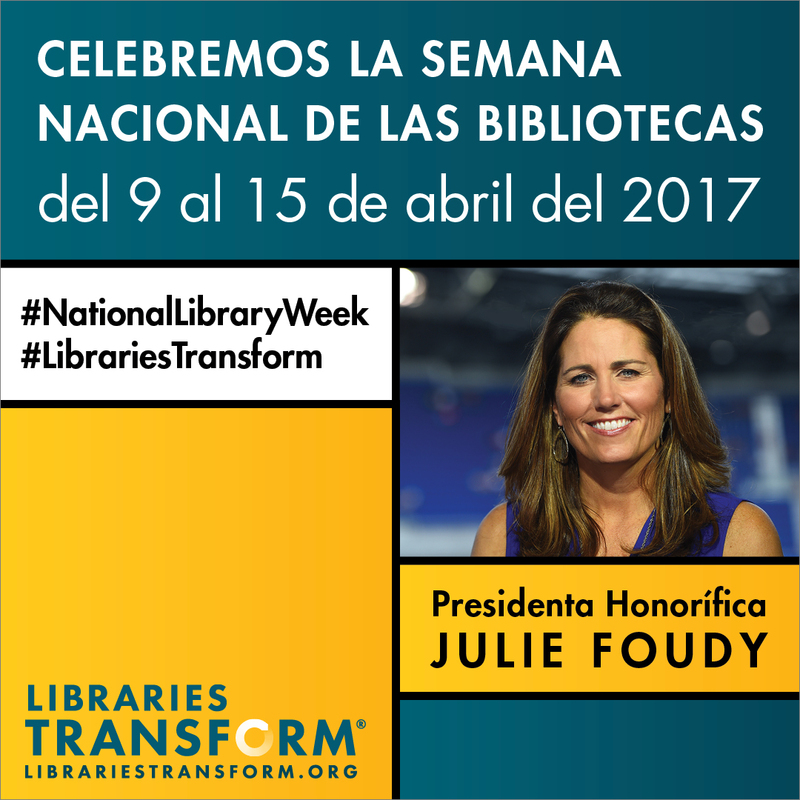 During the week of April 9–15, Americans will celebrate libraries and the people who serve us there. Friends will join that national celebration by having a catered lunch delivered to the staff of each branch on Wednesday, April 12. Friends also sees National Library Week as a good time to reflect on how our library system and the people who make that system work improve the quality of life in Knox County. Think of our branches as the modern version of bookmobiles, taking resources to the neighborhoods where Knox Countians live. As early as the 1920s Mary Utopia Rothrock, our local hero with a national reputation, pioneered in delivering books to the people in our area through branches. Today’s 17 branches, supported by Lawson McGhee Library, grew from her innovations. Think of the good people who serve us in those branches as integral parts of the educational system for lifelong learners. Storytime for toddlers (and their parents), computers for people looking for work or researching their family history, downloadable books for reading at home or on the road, resources for businesses — these are but a few ways in which library staff help us to keep learning and growing. And think of the good people who serve us in Knox County public libraries as contributors to a thriving community even when they leave their posts at the library. As citizens, they create art, they teach Sunday School, they support various agencies as volunteers, they raise families. 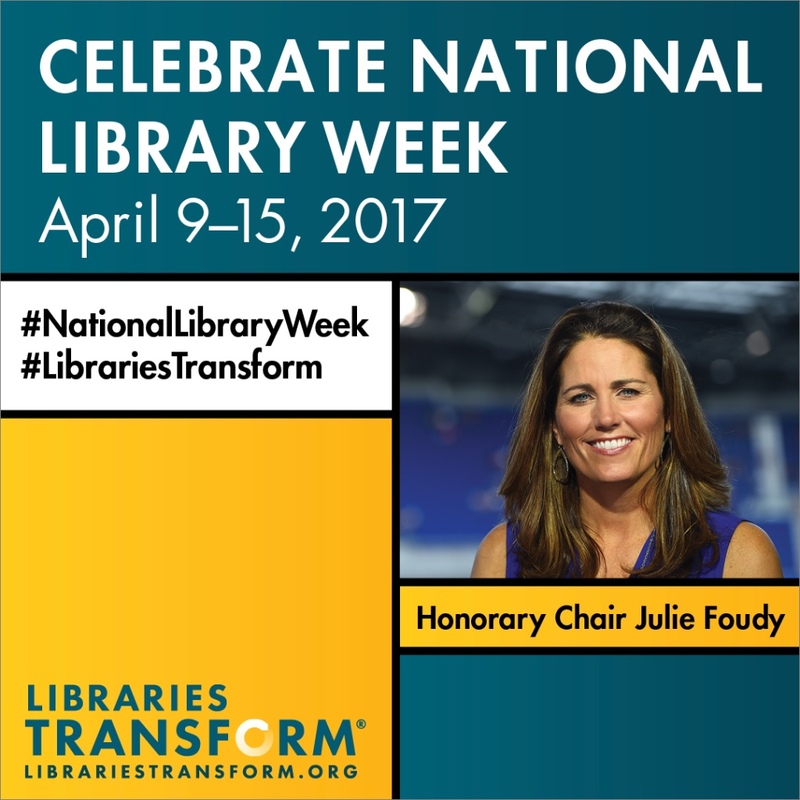 During National Library Week and beyond, we appreciate our libraries and the people there who help us. 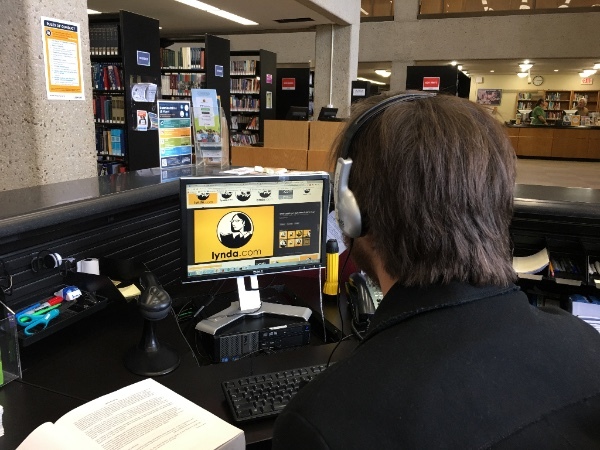 Ian Henderson, reference librarian at Lawson McGhee, introduces a patron to Lynda.com. Library patrons in the know have a little crush on Lynda. And while she is “just” an online education company, she is named for one of her founders, Lynda Weinman, so it’s natural to attribute a personality to the product and call it “her.” Knox County Public Library offers the premium version of Lynda’s video courses in software and creative or business skills to all its library cardholders without charge. They can use a library computer or sign in at home, starting with www.knoxlib.org, clicking on Lynda.com, and then choosing a course. Broken into brief videos, the classes make use of such instructional aids as video transcripts, practice exercises, and outside links. Courses pitched at levels ranging from beginner to advanced are both broad and deep. If you want to improve your blog, learn filmmaking, increase the effectiveness of your social media use and online marketing, dive deeply into web development, or create artistic effects through the use of a graphics editor, Lynda can show you how. Tech and human converge here as people learn how to play the ukulele and achieve work/life balance through online education. With a Lynda course, you can make notes, which will be saved in your Lynda account. You can also transfer your notes to a document on your home computer. Any particular video link — or an entire course link — can be shared on social media and embedded into your own web page. You can stop a video to make notes, do some practice exercises, or take a walk. When you replay a video, your instructor never complains about having to explain the same material again. With a teacher whose demeanor keeps you from feeling overwhelmed at the more challenging points of the lesson, you feel that you are in good hands. Or the new owner of a GoPro camera might need to know how to edit his videos and share them online. With over 8,000 courses and tutorials in five languages available 24/7, Lynda is always ready to teach. 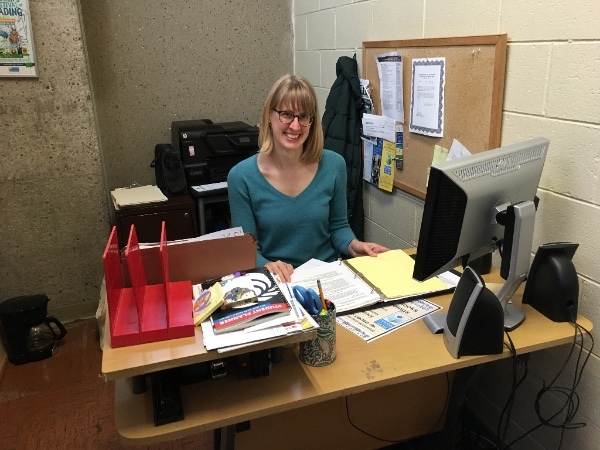 Meet Kristen Faerber, the new Friends coordinator. Kristen is a reader who prefers nonfiction to fiction; she recently finished The Happy City: Transforming Our Lives Through Urban Design by Charles Montgomery and George Lakoff’s The Political Mind: A Cognitive Scientist’s Guide to Your Brain and Its Politics. A self-styled foodie, she once was co-owner of Just Ripe, a small food business focused on local and regional products. Michael Pollan (In Defense of Food) and Mark Bittman (Food Matters) are her go-to writers about food, though she reads books about the topic by many others. And she loves to bake. Kristen brings several years of administrative experience in private, for-profit entities like Bliss/Bliss Home and Three Rivers Market, but now intends to use her talent for operational detail and organization to benefit the greater community. She recently earned a certificate in grant writing after completing a non-credit professional development program comprising nine courses at the University of Tennessee. Kristen has a bachelor’s degree in architecture. She was drawn to that field of study at UT because, she said, it combined creativity and precision, an understanding of process, and an understanding of needs and how to meet them. Those very qualities will stand the Friends coordinator in good stead. March 20 was Kristen’s first day in the Friends’ office, but she has known about Friends for some time and professes a strong belief “in the importance and influence of public libraries in communities.” Kristen adds, “I admire the long tenure of outreach, advocacy, and support that the FOKCPL has provided to ensure a public library system we can be proud of in Knox County.” Quickly becoming familiar with the organization’s structure and the people with whom she will be working, Kristen Faerber is now the voice of info@knoxfriends.org. 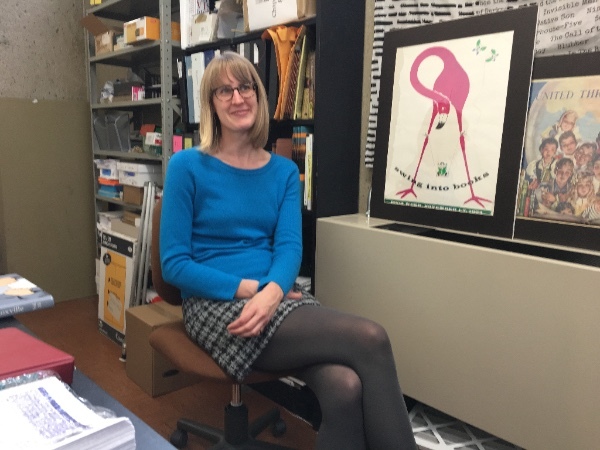 Rossini Festival Used Book Sale co-chair Jen Cooper looks over books and recordings that will be on sale during the festival. 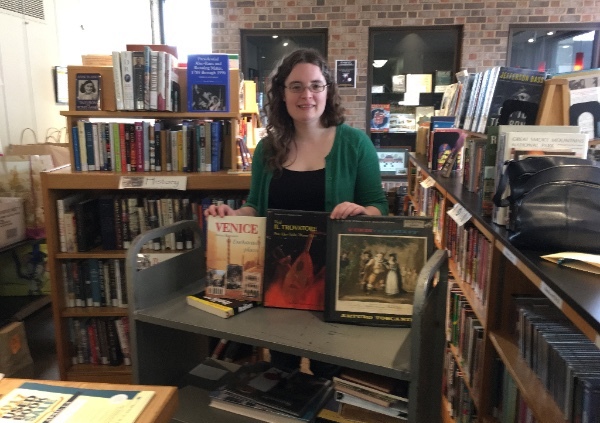 When the Knoxville Opera Company’s Rossini Festival International Street Fair opens on Saturday, April 22, Friends will be there with scores of books for festival-goers in the East Tennessee History Center’s auditorium. Shoppers will find nonfiction books on opera and classical music, European travel, foreign languages, art, cooking, and wine and beer for sale from 10 a.m.–4 p.m. The Rossini Festival is a new ingredient in the mix of Friends book sales. According to Jen Cooper, co-chair of the sale along with Al Horn, the many book sales held throughout the year bring books to different audiences. The Annual Used Book Sale reaches the largest community of book lovers, including shoppers from surrounding counties. Sales at branch libraries and at the Friends @ Rothrock Used Book Shop reach people who are already regular visitors to their libraries and who like to shop in their neighborhoods. Special sales at the Children’s Festival of Reading and the East Tennessee History Fair focus on specific categories of books that are of interest to those who attend the events. That brings us back to the first-time special sale at the Rossini Festival, an event with a new audience for Friends. Take note, and plan to shop with your Friends on April 22. 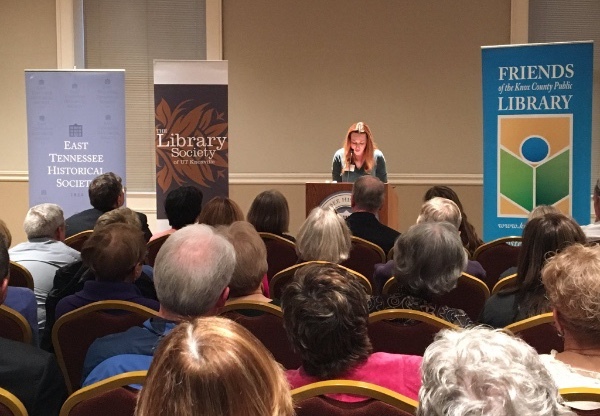 An enthusiastic audience welcomed novelist Amy Greene to the East Tennessee History Center on March 23. Greene presented the 2017 Wilma Dykeman Stokely Memorial Lecture. An album of photos from the evening can be viewed here. This event marked the fourth year of the partnership between Friends and the Library Society of UT to sponsor the lecture. The East Tennessee Historical Society, the Knox County Public Library, and Union Ave Books were also sponsors. Such partnerships make it possible to bring notable authors to our community. Nathaniel Philbrick, author of Mayflower and Bunker Hill and winner of the National Book Award for his maritime history, In the Heart of the Sea: The Tragedy of the Whaleship Essex, will speak at the East Tennessee History Center on Tuesday, May 16, at 7 p.m. His most recent book, Valiant Ambition: George Washington, Benedict Arnold, and the Fate of the American Revolution, will be released in paperback May 9. 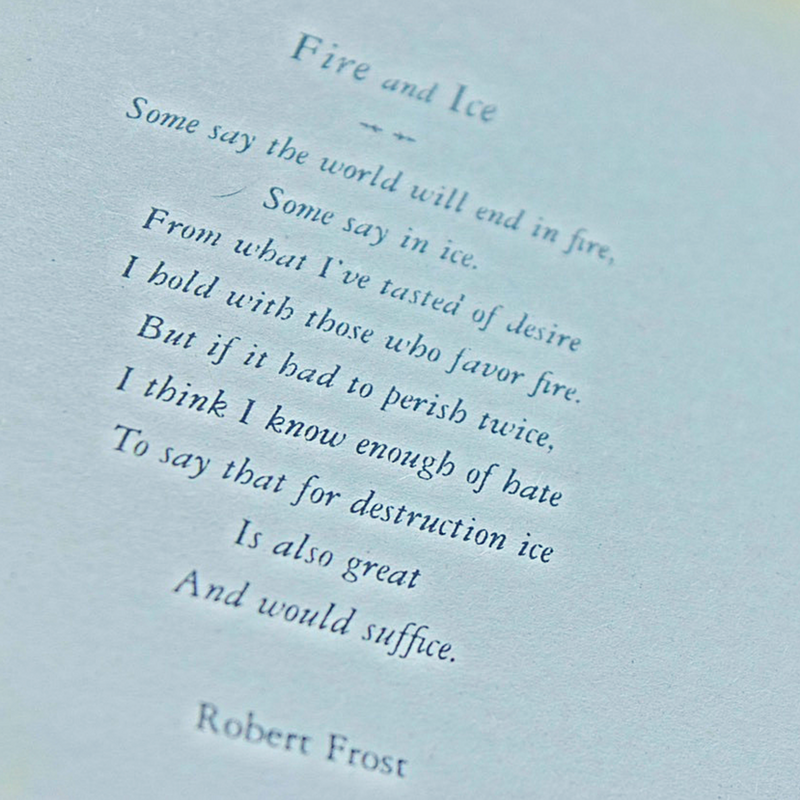 Celebrate National Poetry Month by taking advantage of special prices on books of poetry at the Friends @ Rothrock Used Book Shop! Shop at Rothrock, the little book shop with the big bargains, Monday through Saturday from 10:30 a.m.–4:30 p.m. and Sunday from 1–4:30 p.m. Parking is free on weekends at the Locust Street Garage. 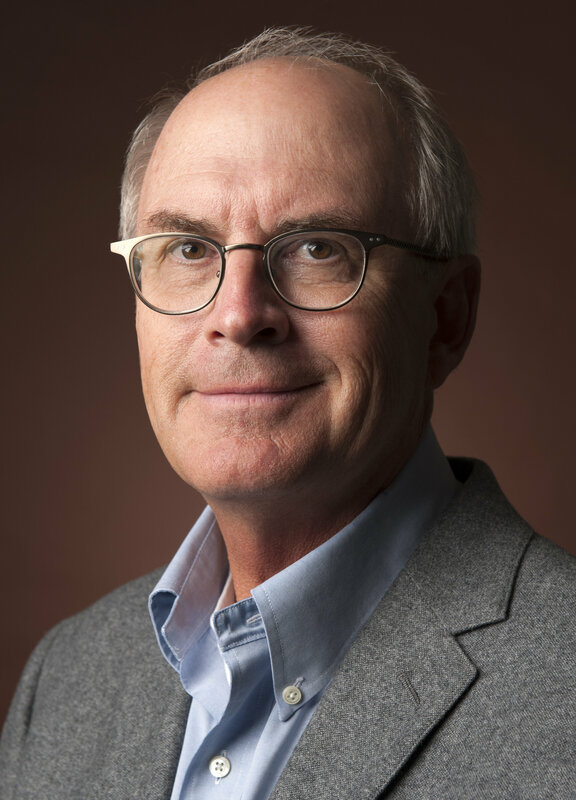 An Evening with Nathaniel Philbrick – Tuesday, May 16, 7 p.m. Copyright ©2017 Friends of the Knox County Public Library. All rights reserved. 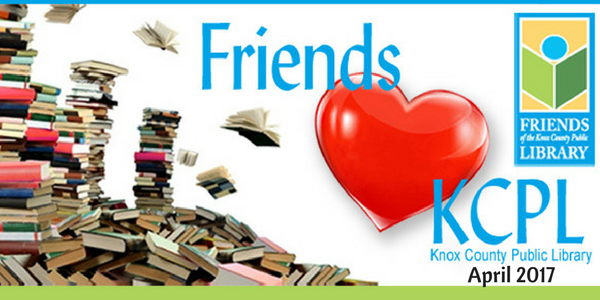 Friends♥KCPL is a monthly e-newsletter produced by the Communications Committee of Friends of the Knox County Public Library. Members of the committee who contribute to the e-newsletter include: Martha Gill (Chair), Peter Andreae, Deanne Charlton, Martha Edington, Beth Fisher, Rusha Sams, and Joyce York. About Friends of the Knox County Public Library: Friends is a nonprofit organization whose mission is to foster a love of libraries, books and reading in the Knox County area. The organization raises funds to sponsor community outreach programs, represent the interests of Knox County library patrons, and support a variety of services offered by the local library system that would otherwise not be available due to budget or staff restrictions. Friends of the Knox County Library has this e-mail address either from our membership roster or from email sign-up sheets. If you are receiving this message in error, please accept our apologies and unsubscribe below. Thank you.